Transport Minister Shane Ross with businessman Des Kennedy at his Centra in Stepaside. 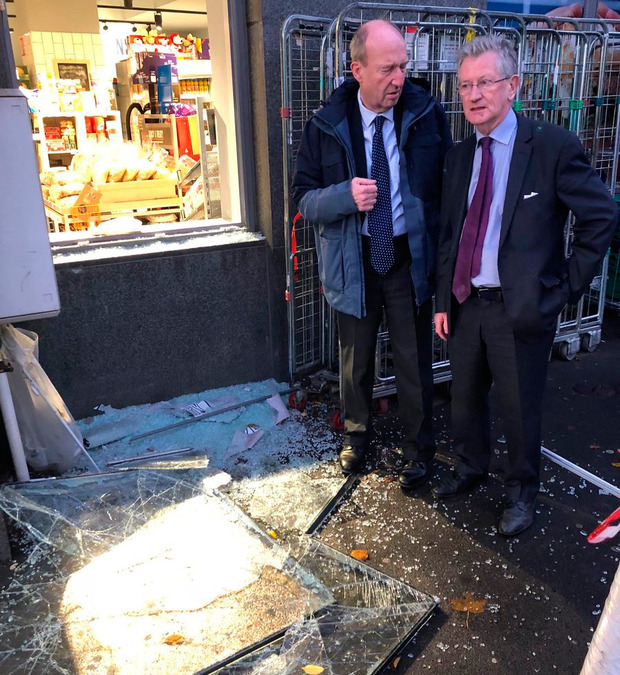 A shop owner has said he was "devastated" after his business in south Co Dublin was broken into overnight, only metres from where other premises were targeted last week. Des Kennedy woke up just after 4am yesterday to calls from gardai telling him of a break-in at the Centra store in Stepaside. He said a sum of money was taken and the windows were smashed. Photos from the scene show glass strewn on the ground and an empty cash register on the counter. Mr Kennedy said it was particularly upsetting because the shop had recently celebrated its 60th anniversary. "I'm absolutely shaking from it. I live about eight minutes away and when I arrived the damage had been done," he said yesterday. 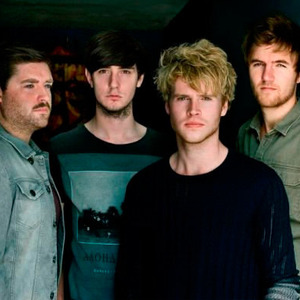 "We're absolutely devastated, but we're hoping to have it back up and running." Gardai have launched an investigation. A spokesperson said: "Gardai are investigating a burglary at a retail premises in Stepaside, Dublin 18, on November 16 at approximately 4:14am. "A window was smashed and a number of items were taken. "No arrests have been made at this stage. Investigations are ongoing." Culture Minister and local TD Josepha Madigan said the incident was "disturbing" and her thoughts were with Mr Kennedy. "I'm saddened and angry to see that another shop has been broken into overnight," she said. "This time it was Des Kennedy's Centra shop at 4am. My heart goes out to him. Such despicable acts of thuggery in a lovely village like this is disturbing." Transport Minister Shane Ross, who also represents the area, visited the shop yesterday morning and spoke with Mr Kennedy. The local TD tweeted: "Outside Des Kennedy's Stepaside shop after 4am break-in last night. Typically, Des reacted, 'at least no one in the community was hurt'." Three other Stepaside businesses were targeted in an early morning raid on November 6. The gang first tried to break into Fleming's butcher shop before making their way to the Simply Fresh fruit and vegetable shop next door. CCTV footage obtained by the Herald shows a raider hitting the glass with a hammer more than a dozen times before kicking it in. He then walks into the shop, spending a minute there, before leaving, getting back into a car and being driven around the corner to the Borza takeaway. A man in his 20s appeared before the Central Criminal Court in relation to the three burglaries on November 6.